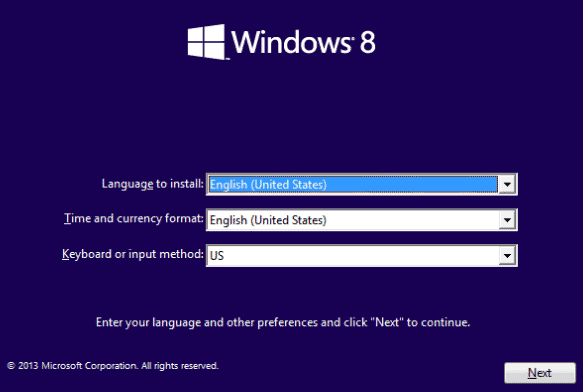 Windows 8 users can upgrade to the Windows 8.1 Pro Preview or they can install it on a partition or virtual drive. We’ve already covered how to upgrade, now we’ll cover how to install it in other ways. Some users just don’t want to risk the issues that might come up by upgrading to the Windows 8.1 Pro Preview. These are valid concerns. After upgrading to the preview, you’ll have to reinstall all your Modern apps during the real upgrade in late 2013. The bugs that can crop up may not be worth the risk. Installing Windows 8.1 on a partition or virtual drive is a way to avoid computer issues with your primary OS. For starters, the Windows 8.1 Pro Preview can’t be uninstalled. This means once you install it on a partition, you’ll need to complete reformat that partition once Microsoft releases the final version for Windows 8.1 and the preview goes inactive. If you’re using a virtual machine, you don’t need to worry about this as you can just delete the virtual drive. Microsoft recommends that you have a system image or other method for restoring your computer to factory settings, should something go awry. You will not be able to use the recovery partition of your PC to restore Windows if you choose to use the Windows 8.1 ISO. While you may be running Windows 8.1 on a partition, you never know what could go wrong when testing an unfinalized OS. Just like upgrading to Windows 8.1 on your primary system, proceed with caution no matter which install option you choose. 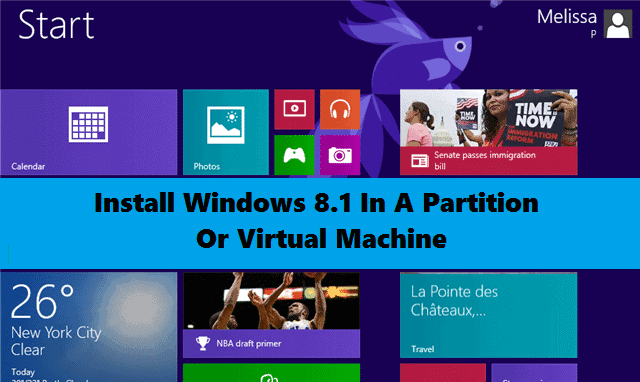 Before you install Windows 8.1 on a partition, you’ll need to create one. You can follow our guide at TechNorms to creating a partition in Windows. Once your partition is created, head to the Windows 8.1 preview ISO page. Scroll down to select the right version for your PC. You can choose from the 32-bit or 64-bit versions in a variety of languages. Depending on your Internet connection, it may take some time to download. When finished, the quickest way to install Windows 8.1 on your partition will be to make some form of bootable media for the ISO. For this tutorial, I’m using WinUSB Maker to make a bootable USB device for the Windows 8.1 preview. You can also burn the ISO to a DVD to make things simpler. Once you’ve created your Windows 8.1 media, you want to restart your computer and head into the BIOS. Depending on the computer, this could be done in a variety of ways, so pay attention to what your computer prompts you to do immediately as it boots up. In the BIOS, you’ll want to change your boot settings to reflect either a USB drive or the DVD drive based on what media you used. Save your BIOS settings changes, then exit the BIOS and let your PC reboot. 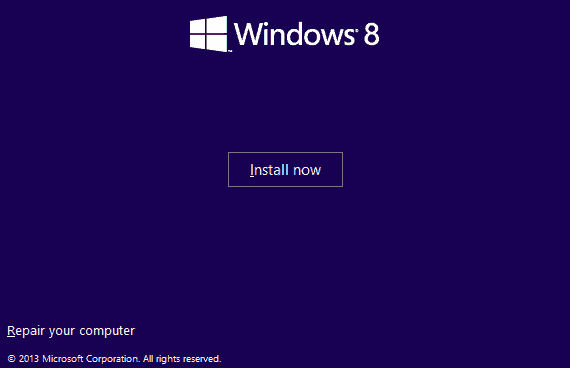 It’ll read your media, and now you can begin to install Windows 8.1 on your partition. Select “Next” to get started. It’ll take a few seconds for the installation process to configure itself. 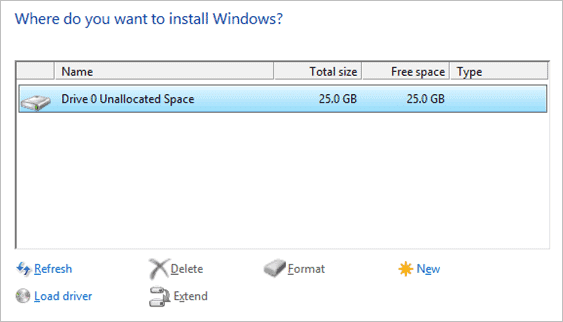 This will allow you to choose the right partition to install Windows 8.1 too. Click the partition you created, then click “Next” to continue. The installer will begin the process of copying files, prepping the install and then finally installing Windows 8.1 on your partition. This process can take some time, so sit back, relax and let Windows do its work for you. When finished, your computer will restart itself several times, and then you’ll be introduced to the welcome fish. 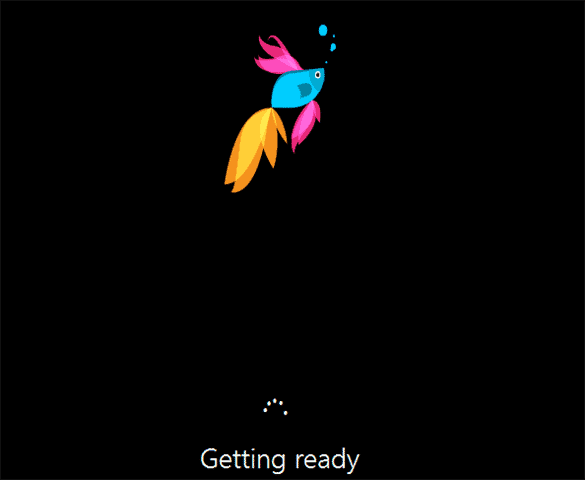 Now, Windows 8.1 is ready for you to give it your finishing touches. If you chose Custom Settings, you’ll be asked to make a variety of choices about everything from networking to updates to suggested search. Windows will ask you to link it to your Microsoft Account. For Windows 8.1, you are required to use a Microsoft Account to access the preview. If you don’t have one, you can sign up for one. Click “Next” to move on. 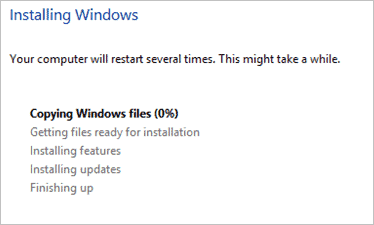 Windows will begin installing your apps, prepping your Windows install and then you’ll be greeted by the Start screen. 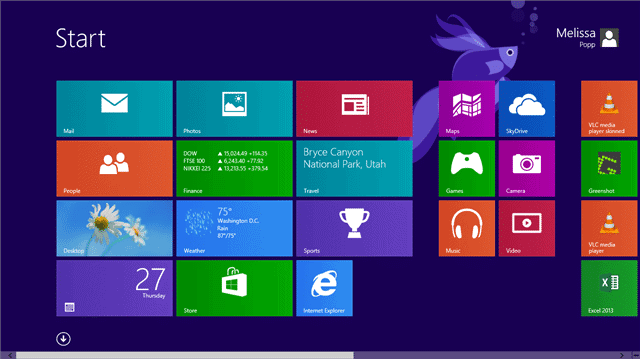 Now, you can tinker with Windows 8.1 no matter what your primary OS is on your computer. This gives you a chance to check out the new Windows without giving up on the stable OS you use day in and day out. 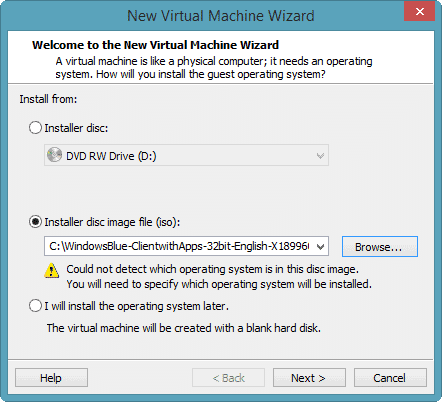 I tried to install the Windows 8.1 preview in VirtualBox and VMware Player. I only had success on my PC installing it through VMware Player; VirtualBox would not load the preview for me in its 32-bit or 64-bit versions. I suspect this is a hardware issue with my PC and not an indication that it can’t be done based on reports that it has installed with minimal issues on VirtualBox. The steps below will show you the basic Windows 8 setups generally accepted for running Windows 8 on each virtual machine. Again, depending on your PC setup, one of these virtual machines may work better than the other. You may have to play around with settings on your computer to get this to work. I recommend using the 32-bit version of the preview for your virtual machine. 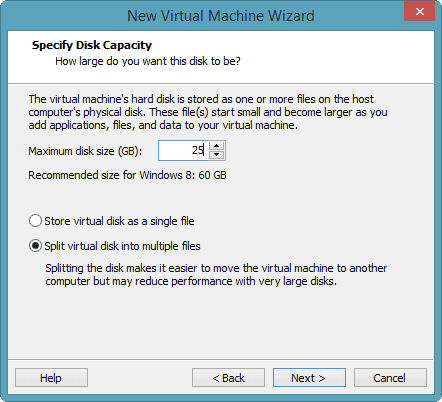 This will eliminate a lot of issues with hardware virtualization on most PCs. You can use our guide to installing the Windows 8 Consumer Preview to mimic the steps for installing the Windows 8.1 Pro Preview on VirtualBox. 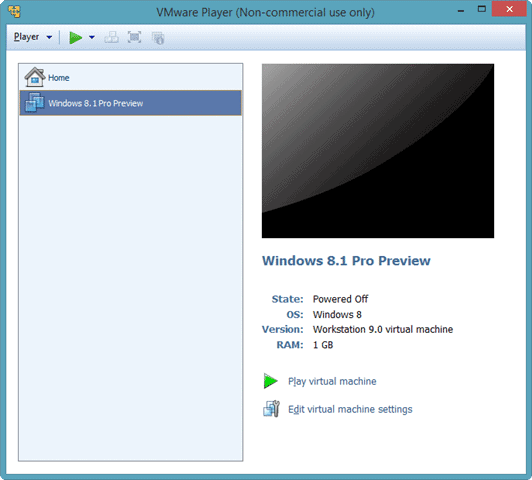 Once you’ve downloaded and installed VMware Player, you can begin the process of creating a virtual machine for your Windows 8.1 Pro Preview. 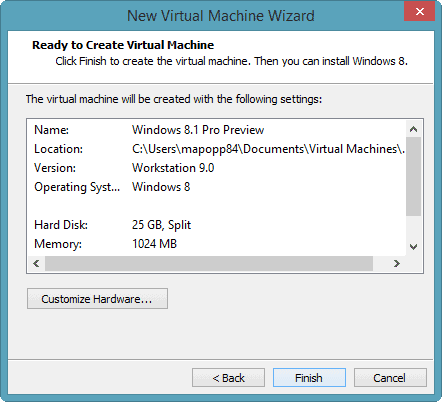 Click “Create a New Virtual Machine” to get started. Then, click “Browse” and select where you saved the ISO. VMware Player will warn you that it doesn’t quite know what OS the ISO belongs to, click “Next” and we’ll fix that. VMware Player will let you confirm your settings and then click “Finish” to create your virtual Windows 8.1 machine. Click “Play virtual machine” to start up the Windows 8.1 Pro Preview. You’ll then follow the same steps to “installing” Windows 8.1 on your virtual machine as you did when creating your partition. I ran into no problems installing Windows 8.1 on a partition on my desktop than I did upgrading on my laptop. My primary issues came from trying to install it via a virtual machine in VirtualBox. I’ve had issues with VirtualBox before on my laptop, so I wasn’t surprised. 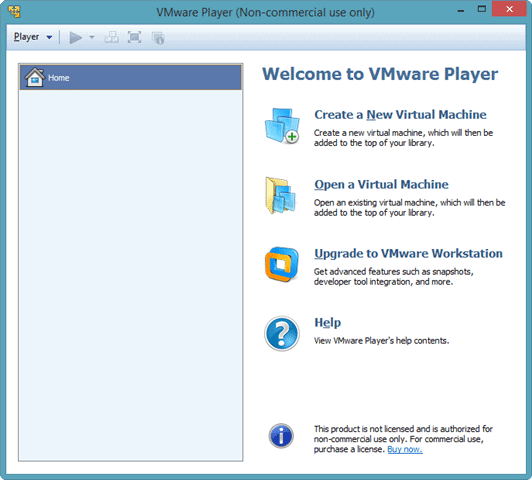 VMware Player has always been my default virtual machine of choice. 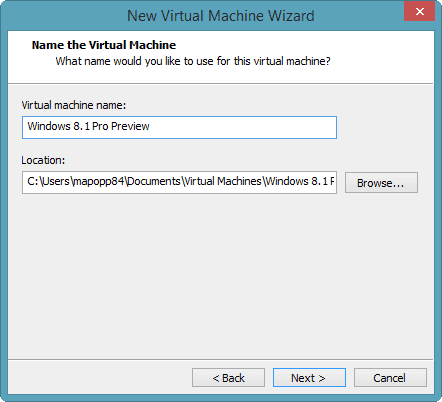 Substitute [vmname] for the name of your virtual machine you chose during setup. 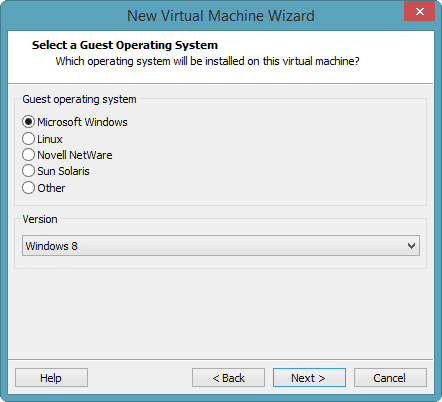 Now, start the virtual machine in VirtualBox and see if that works for you. Watch this space as we’ll update it as we find fixes for issues with the Windows 8.1 Pro Preview install. No matter how you choose to install the Windows 8.1 Pro Preview, choose wisely how you want to go about installing it on your PC. Read up on how to the process works, what you’re risking in the process and make sure you backup your files. You’re testing the first major upgrade to Windows 8, but you don’t want to cause issues with your computer in the process. That’s why Microsoft has provided a variety of alternatives for how to check out Windows 8.1. 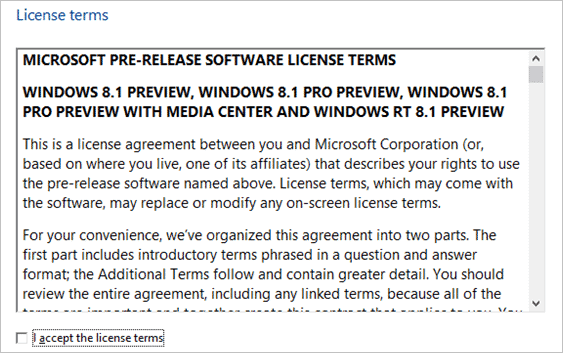 Please Note: The Windows 8.1 Pro Preview comes with no guarantees. You’re using this upgrade without warranty. If you run into issues, let us know so we can try to help you figure it our or pinpoint errors happening to us, too.